The Rome Prize is awarded annually to about thirty candidates, each selected by a jury of distinguished peers through a national competition. 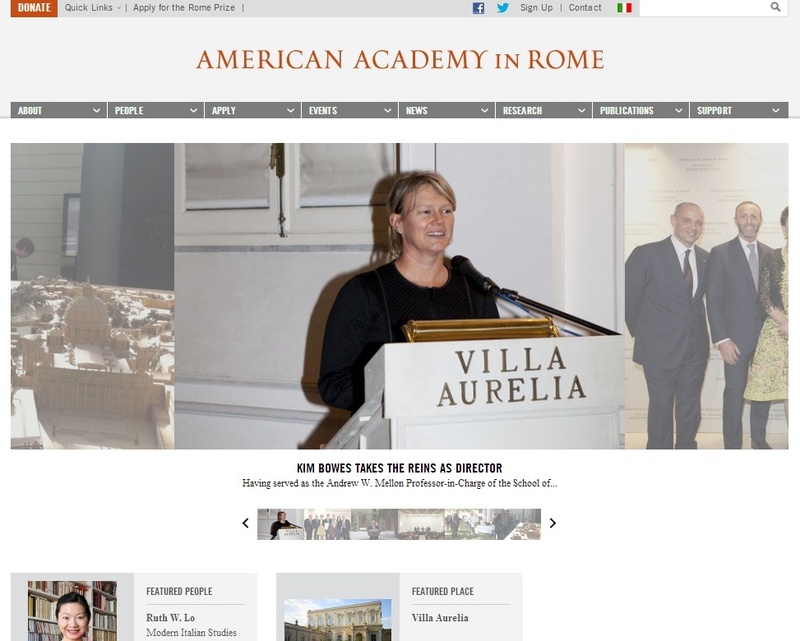 The American Academy in Rome is the oldest American overseas center for independent study and advanced research in the arts and the humanities. The Rome Prize is awarded annually to about thirty candidates, each selected by a jury of distinguished peers through a national competition. The winners are invited to Rome to pursue their work for periods ranging from six months to two years. They are provided with stipends, residential accommodation, meals, private studies or studios, and most important, an atmosphere conducive to intellectual and artistic freedom, interdisciplinary exchange, and innovation. The 2014 Rome Prize poster gives pertinent information about the fellowship fields, the availability of the online application forms, and the application deadlines.